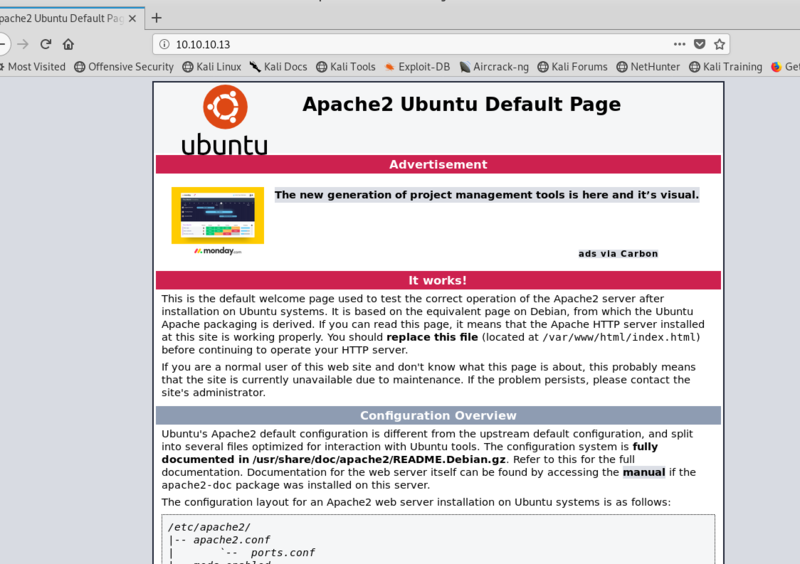 Default apache web page, nothing new. 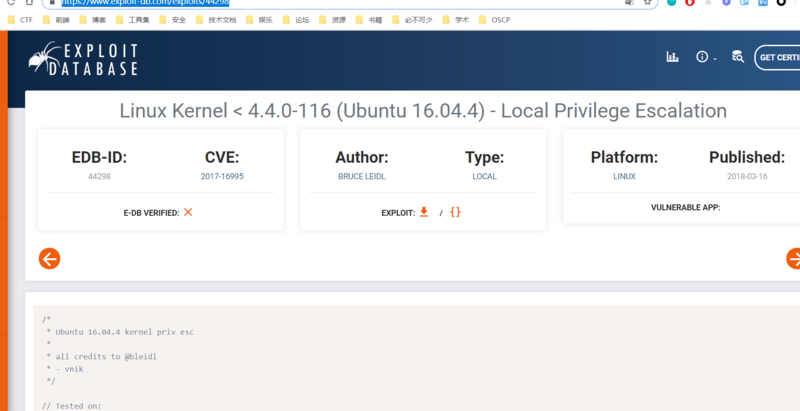 So try to brute force http://10.10.10.13/ with dirbuster. After brute force for a period time, we have not found anything new. 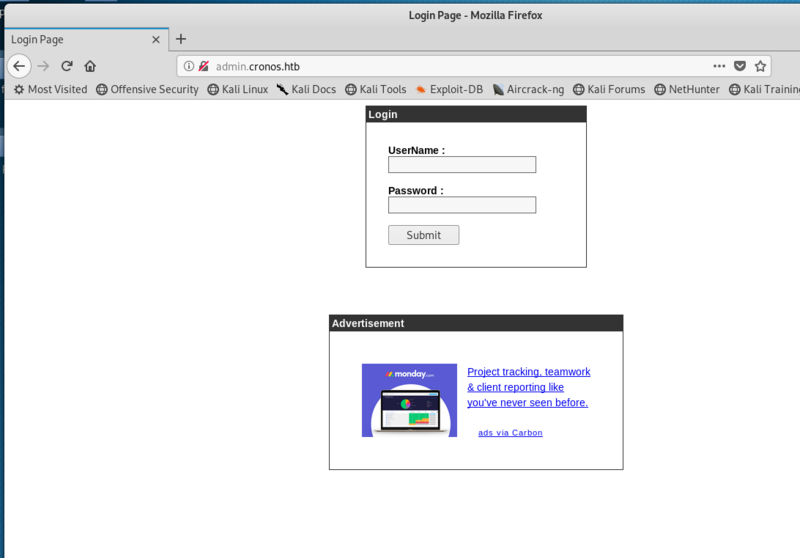 Try to access admin.cronos.htb in the browser, a login web page is displayed. Yep, it is what we want. It seems that the login is quite simple. 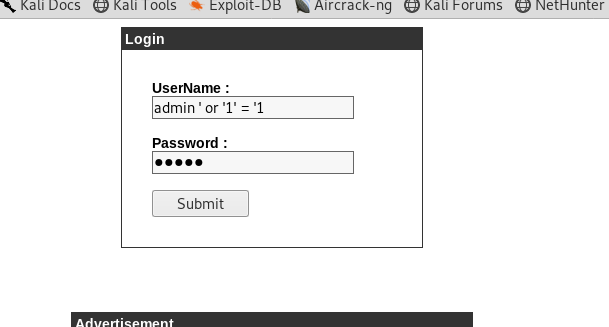 Try to login with sql injection with the username of admin ' or '1' = '1, the password can be anything. Wait for server second, shell is return. Wonderful! Obviously, the user role can be obtained. Go the home folder and ls， then go into the user folder to get user.txt. 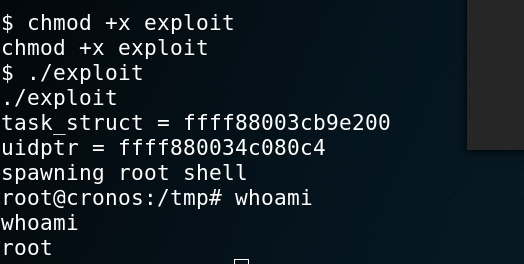 Just execute it by ./exploit. Wow, now see whoami. The target machine is quite straitforward. The basic point is the zone transfer of DNS exploit. And other steps is not difficult with basic knowledges including: sql injection, reverse shell, etc.